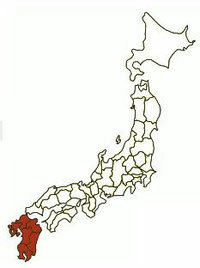 Did you Know Kyushu?That is a southern Island of Japan.They say that "Great Island". You can get beautiful nature and amusement and amazing experience !! Historic Area.The story of Atomic bomb,Hidden Christians　etc. International city from old time. Ceramic ware,onsen,Ninja village,ancient ruins etc. This area has many face and attractions. Aso volcano is mother of Kyushu.Now you can see one of most beautiful mountain scenery in the world.And Kumamoto castle is the three major Japanese castles. 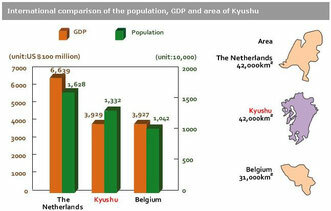 Most big population and central of Kyushu.Good at shopping and city life and entertainments. Southern area. This area has Sakurajima volcano.You can enjoy Sand bath,that is special style of only this area. Onsen World.One of Best Onsen Area in World. There is Hallo Kitty's Amusement park. Miyazaki is area of mythology and Legends.Many traditional culture and architectural structures you can see here. The Kyushu region has an area of 42,180 km2, accounting for 11.2% of Japan's total area, and a population of 13.320 million people, 10.6% of Japan's total population. 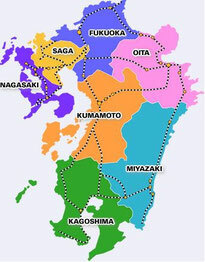 Kyushu is made 7 prefectures and they have special area characters each. Kyushu is one of the most popular Tourist attraction in Japan. Recently many foreign tourists are coming Kyushu. We have rich network all around Japan. Hotels,Travel companies, Bus companies , etc. Especially we know Kyushu and We live in Kyushu.Our mission is contribution for customers from other countries. Make mutual exchange between Kyushu and World.